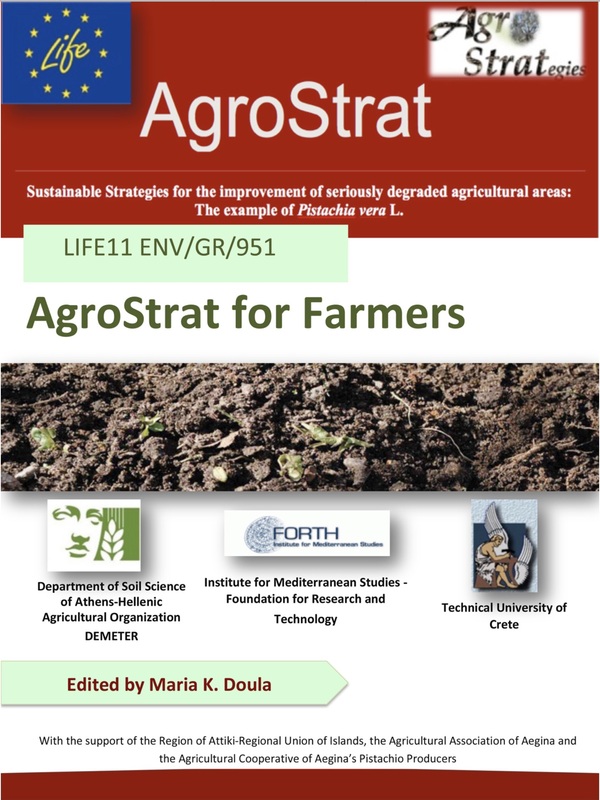 AgroStrat was successfully completed on 30 September 2017. 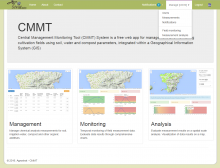 However, the project will continue to offer support to producers, scientists, policy makers and other stakeholders interested in the problems that the Mediterranean agricultural sector has to address, especially under specific pressures, like climate change and overexploitation of natural resources. 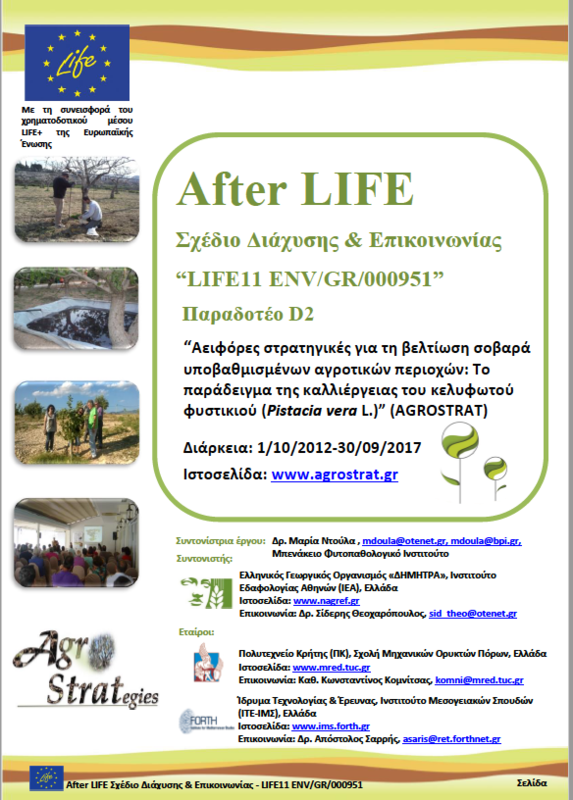 For this, a detailed After-LIFE Communication Plan was developed by the Technical University of Crete for the maximum dissemination of project achievements. 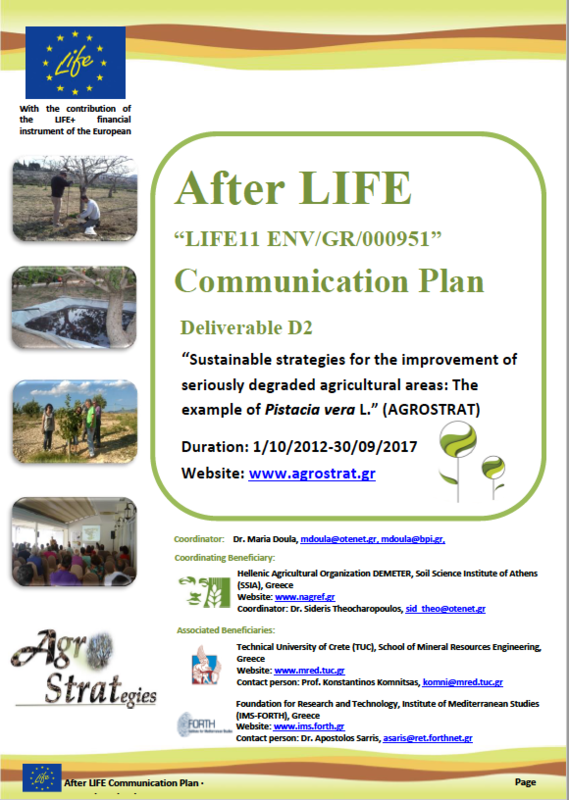 The plan focuses on a) the development of a strategy to continue dissemination of project achievements after its end, b) raising awareness of all relevant stakeholders in issues related to the degaradation of the Mediterranean agricultural areas and c) promoting application of the proposed technologies, methodologie and practices at local and regional scale.